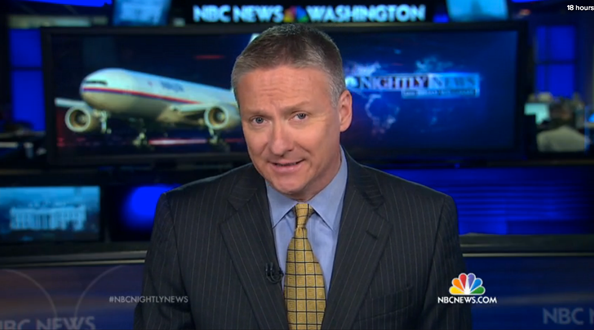 On Wednesday’s “NBC Nightly News,” the network used a second monitor behind the newsroom flash camera position during Tom Costello’s report on the missing Malaysian Air Flight 370. For some time now, a flat screen monitor positioned to the right of the talent is often used to display individual show branding. 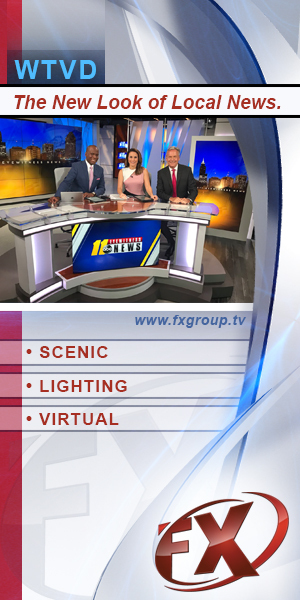 The new monitor was placed to the left side and allowed the network to display a topical graphic — in this case the image of a plane — and essentially creating a continuous mini-video wall behind the camera position. With the addition of this new monitor, the newsroom work area is mostly obscured, although the header reading “NBC News Washington” remains prominently visible.